How to Unlock iPhone 4 on iOS 4.1/4.2.1/4.3.3 Using Gevey SIM? How to Use Gevey Turbo SIM to Unlock iPhone 4 on iOS 4.1/4.2.1/4.3.3? This guide is for those iPhone 4 users who have bought Gevey Turbo SIM and are little confused about its working. For those who don't know, Gevey SIM is well capable of unlocking iPhone 4 01.59.00, 02.10.04, 03.10.01 & 04.10.01 baseband on iOS 4.0/4.1/4.2.1/4.3.3. I am myself using Gevey SIM to unlock my iPhone 4 and have found no noticeable drawback except i have to redo the unlock procedure if my iPhone needs a reboot. Gevey SIM has no effect on the battery life of your iPhone. You do not need to jailbreak your iPhone 4 before using Gevey SIM. Gevey SIM never slows down your iPhone in any way. Losing signal for 2-3 mins will require you to redo the unlock procedure again. Losing signals for some seconds have no effect on the unlock. To unlock your iPhone using Gevey SIM, you must call 112 for atleast 2 seconds. After 2 seconds, you can safely drop your call. STEP 1: Navigate to Settings » General » Network and turn OFF 3G. Keep Cellular Data and Data Roaming option ON. Make sure there is NO unofficial SIM present in your iPhone SIM tray at this time. STEP 3: Put Gevey SIM interposer in Gevey SIM tray. STEP 4: Put unofficial iPhone SIM on top of Gevey SIM interposer. STEP 5: Turn OFF your iPhone by pressing the power button on the top. STEP 6: Put Gevey SIM tray along with Gevey interposer and unofficial SIM into your iPhone. STEP 7: Turn ON your iPhone. STEP 8: After turning your iPhone ON, you will see SIM welcome message. Tap on the Accept button to continue. At this stage, you will find 1 signal bar in the status bar of your iPhone. STEP 9: As soon as you will tap on the accept button, you will see Searching... and then No Service message on your iPhone. Do not do anything yet. Wait while 1-signal bar reappears on your iPhone status-bar. Once you see 1-signal bar, dial 112 from your iPhone. STEP 10: After exactly 2 seconds, tap on the End button to hang-up the call. STEP 11: Go to Settings and turn Airplane Mode ON. Do not do anything until you see No SIM card installed message. As soon as No SIM card installed message pops-up, tap on OK button to close the message and turn Airplane Mode back to OFF. 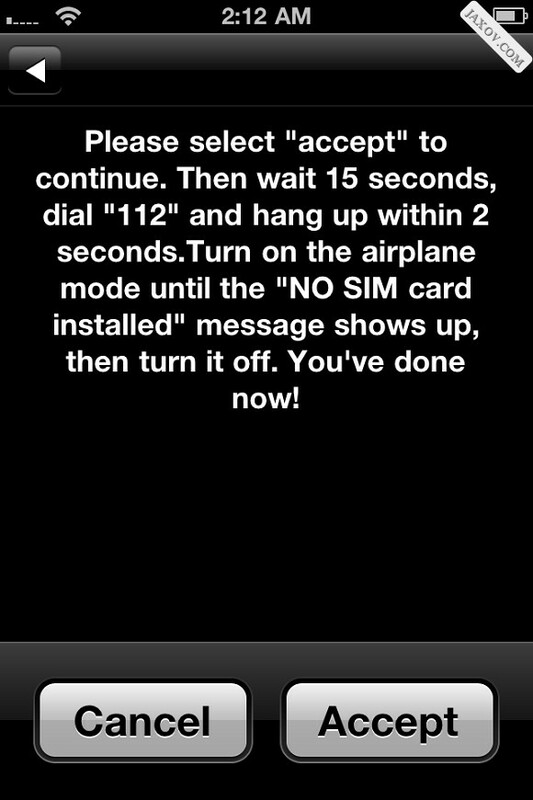 STEP 12: As soon as you will toggle Airplane Mode to OFF, you will see SIM Failure message. Thats it! Tap on OK button to close the pop-up and wait while your iPhone unlocks itself. hi, can i ask if it’s possible for myiphone 4 ver 4.3.3 to have open line using a gevey sim? or to upgrade it? i have iphone4, ios4.1, bb02.10.04. it is unlocked with gevey turbo sim card and is jailbreaked. my question is “will gevey turbo sim card work if i upgrade to ios 5.0.1”. steps are working perfectly. I would have search on net first. I paid 500 bucks for these steps. I’ve been trying to unlock my iPhone 4 using a Gevey TurboSIM but when I reboot my iPhone it immediately appears a message on the screen that says “No SIM card installed” and where the signal bars appear it says “No SIM” and it stays like that. What could be wrong with my iPhone because I cannot unlock it if it keeps showing my such message? After unlocking my iPhone4 using gevey turbo card, i accepted upgrading of my phone sent by iTines.after i did upgrading my iPhone it is locked again. is there any new version of gevey card to unlock the phone? My Ip4 has the version5.0.1 will these work on it? As far as I know Gevey works with iOS 5.0.1. Just be sure to create a custom IPSW using redsn0w or sn0wbreeze to preserve your unlockable baseband. i forgot to enable 3g… how can i on my phone? After i put my sim card, it says “Different SIM detected. What do i have to do to make it work again. Make sure that your within a 70-80 % signal strength radii of your Wi-Fi router / hotspot. By default, Apple devices don’t connect to those wireless hotspots which it considers too far away & therefore you don’t see it on your device as well. Hi Pramod, Thank you very much for your prompt response and please let me be informed if there is the solution. Thank you. My Iphone4 is with the version of 4.3.3(8J2) and modem firmware 04.11.08. Once I tried to update ios5 and then it is locked and I tried to unlock it by visiting some technician here in Tel-Aviv, Israel but no one could succeed to unlock it. Is there any solution to unlock it, please do let me know. thank you. is there a way to get the upgrade off? I believe iTunes always asks your confirmation whether to update your device / not. Just be careful not to do so the next time. iTunes never updates your device unless you have confirmed it. Also, the next time you see this pop-up, make sure to Cancel & Do Not Ask Me Again it. I upgraded my iPhone to iOS 5 and lost my Gevey unlock. Is there a way for me to unlock my phone yet? What about a different carrier SIM? pleas, i did every steps, but network searching didn’t find any thing!! I want to ask if there is any thing to change it in setting like network setting. What version of iOS & Gevey version are you currently running on your iP4? Try the same Gevey with a different carrier SIM. Does that too behave in the same manner? Updating to iOS 5 straight from iTunes will indeed kill your Gevey unlock. If you want to update your device whilst preserving your BB, make sure that you always restore to a custom iOS IPSW. Read this http://bit.ly/qWieKu. Use Sn0wbreeze 2.8b11 instead because you can now restore only to iOS 5.0.1. Rest of the steps are all the same. i already follow the instruction, at the first time i use provider A, and it success. but when the final step ( waiting until the full signal ) suddenly its says searching, no more singnal appears. i wait for a few times and it says no service. i get frustated with this, and change itu again to provider A, but it all the same, it’s not working anymore..
What are your current iOS & BB version details? Also, did you try the same with a different Gevey as well? I got a used iphone – 4 in U.S and got it jail break. I’m currently in India and trying to use my Airtel micro SIM. When i insert the Airtel SIM, after reboot it says invalid SIM. I saw this forum now. Please let me know if I put a Gevey SIM will solve my problem? As long as your modem firmware is 04.10.01 & below, a Gevey SIM will be able to unlock your iP4. Read the Updates towards the end mentioned on the same post that I had pointed you to earlier here http://bit.ly/p2VAxx & try them. If you didn’t know, the Gevey SIM works no more on iOS 5 & above unless you have actually preserved your BB with a custom IPSW. when i tried updating to the ios5 using snowbreeze, i kept getting the iphone error 3194.
when i used tinyumbrella to fix that, it just became error 2005…. You cannot restore to iOS 5 anymore because Apple has stopped signing it already. You can only restore to iOS 5.0.1 if you want to. how would I go about doing that? details much appreciated. Read http://bit.ly/p2VAxx. If your on Win, use Sn0wbreeze v2.8b9. i want change my local sim card wih another local sim card with gevey.. but it can’t why? gevey can’t read my another sim card after i change it. Probably its an issue with the SIM itself? Have you tried using a third different SIM with your Gevey as well? I have a IPhone 4 with IOS 4.3.5 (8L1) Firmware 04.10.01 (AT&T) I currently do not have service on it, I have a Nextel that I have service on and would like to move to my IPhone is this possible with a GEVEY SIM? Also what happens when you reset the phone… (reset all settings) dose that put it back to a different IOS like what it came out with ? Yes, the Gevey SIM will be able to unlock your device on the 04.10.01 BB. Resets will not affect anything but make sure that you never update to the stock versions of iOS directly from iTunes. Yes, you can very well use a Gevey SIM to unlock your device on the 04.10.01 BB version. Resetting your device will not screw up your device, but make sure to not update your device via anykind of updates from iTunes. Always use a custom iOS. I had ios 4.3.3 in to my iphone and it was the unlocked one. Once the ios5 released, I upgraded it and then my phone got locked and everytime I tried to unlock it by dialling 112……. airpalne mode…. so on, finally i get the messege Invalid Sim. Is there any way that I could return back to its previous version software i.e, 4.3.3. Nope. By updating to iOS 5, you have lost the Gevey unlock. Currently, there is no way for you to unlock your iP4. Is there anyway I can update my iPhone4 to ios5 and have it still unlocked?! Maybe update then unlock again or something?! Yes, by restoring to a custom iOS 5 IPSW, you can preserve your unlock while you update your iOS. does this work with ios 5.0? well, i’m not sure which method was used but i can tell you that now every time i turn my phone off and on again i will have to do the whole process. it’s so annoying. is there anything that can be done about that ? Nope, its just how the Gevey works though there are other kinds of Geveys in the market that doesn’t require this repetitive 112 dialing procedure after every reboot. Do I have to redo the unlock process every time after I turn off the phone ? I’m using Ultra gevey with Telus. Yes, I believe so you should on a Gevey Ultra. thank you so much, this was super helpful but i have a question, now that i got it unlocked this way..
will i ALWAYS have to go through ” accept … call 112… hang up.. turn on airplane mood…. etc ” ? it’s not easy as sometimes the ” no simcard” alert appears before i get to turn the airplane mood on so i will have to start from all over. It depends on the type of Gevey that you use i.e if the whole procedure needs to be done only once or after every reboot of the device. Im trying to unlock the phone with Gevey,however im getting the no sim card installed error message(insert a sim with no pin lock) but thats after im able to accept and call 112,and i get a vm notification..what can I do? What are your iOS & BB version details? It could very well be an issue with your carrier signal strength. Not sure though as to why it would behave like this. Have you tried a different carrier SIM? Is it still the same? I updated my iphone to ios 5…as there was no good option for unlock for 4.3.5……Waiting on dev to release the unlock procedure for iphone 5. There won’t be any atleast for the iP4 & also definitely not in a years time. If you aren’t aware, there is still no unlock for the 01.59.00+ BB versions on the iP4 & its almost a year since anything has come out for it from the Dev-Team. So don’t get your hopes high here. Nope. iOS 5 blocks the exploit used by the Gevey SIM. You might want to restore your iP4 back to the official iOS 4.3.5 to get back the Gevey unlockable BB ASAP. I have unlocked my iphone4 using gevey’s turbo sim and was wondering if it was ok to update my iphone? if it would mess up the unlock or not. It definitely will mess up the unlock. Make sure you preserve your BB & always restore to a custom IPSW ONLY to keep the unlock. hi i’m going to be getting an iPhone with the gevey sim and was just wondering do you have to go through this process everytime you turn off the phone and turn it back on? Probably a stupid question but just had to make sure. Not if your on iOS 5 & not if your using the Gevey Pro Plus Supreme. The Gevey Supremem Pro Plus Red definitely is. I’m not sure which Gevey you currently have, but if your on the Red one, you need to hit Cancel on the Gevey welcome screen after each reboot to grab the signal back. Read this post http://bit.ly/k7B3qN to activate FaceTime if your using a Gevey SIM. I have been getting all positive reports by following that link. So yes, it does work. I have iphone 4 — 4.3.3 & 4.10.01 firmware…. I bought “Gevey Supreme Pro Sim Card Unlock All Version iPhone 4” online and tried to unlock iphone. It worked fine first day. Second day, my iphone kept vibrating with no display (known issue) which got resolved by doing hard reset. Now, I am unable to unlock it again. I am geting “No Service” msg. What should I do, really spent lot of time trying the same steps again and again but TMob is not coming up. Please help. You might want to get that Gevey checked in other iP4’s as well. Probably it is bad / not an original one. There’s nothing wrong with your iPhone though as this is purely a Gevey related issue i.e if the T-Mobile SIM is still active / working. You might want to change that Gevey SIM instead of the SIM itself & then try it again. Its probably not working / a fake one that you might have ended up with. i have a iPhone4, iOS 4.3.5, BB 4.10.1, i used GREEN GEVEY SUPREME. i have successfully unlock the phone, but unable to use any data network, no 3G or even EDGE. I’m on t-mobile by the way. please help me clarify this issue. is it the setting, the network or the unlock sim won’t do with data? A green Gevey Supreme is something that we have never heard of. You might want to get that changed to the red version Pro Plus or something. The Gevey Supreme Pro Plus Red doesn’t have any issues with the data connectivity either. But its earlier versions like the Yellow / Green did have issues. i’m going to buy iphone with contract in USA, can i use gevey to unlock the iphone so i can take it to other country? Yes & only if your going to get one that’s on iOS 4.3.5 & below. Also, why bother getting a locked one when Apple is selling them factory unlocked already. i want to know how can i jailbreak ma iPhone ??? Use Redsn0w to JB your device. Follow the steps as mentioned here http://bit.ly/kPhfh0. Make sure that in your case you point Redsn0w to an iOS 4.1 IPSW ONLY & nothing else. This is important. This is something that you would need to take it up with the T-Mobile reps. Contact them & follow-up your issue with them. Can’t provide much insight into this topic either. Hi I used the Gevey Sim to unlock my iphone4 to work with a non-uk simcard. Worked no problem. As I live abroad sometimes I travel back to the uk and will want to use my uk sim. Do I have to use it with the gevey sim as well? The uk sim is the original sim I had when I bought my iPhone. when I put the sim card with the Gevey sim and turned on the iPhone4, I have a message for no sim card and can not see SIM welcome message? I tried to change the sim card with another 2 sim cards, Put still have the same problem, Can you please help me in this issue? Issue is with the Gevey. Try replacing the Gevey itself to see if it works. can turbo sim iphone 4 can be upgraded or not ??? NO. The Gevey exploit is long closed by Apple already in the iOS 5 betas. So, preserving your current BB is the ONLY way that you can keep your Gevey unlock. My issue is that even with the gevey sim in i still don’t get any signal, an in the Carrier tab it was on automatic so it searched for specific networks and i choose my network(o2) but once i click on it, it tells me the network is no longer available. i have tried to do the unlock with the gevey sim several times, but still no luck. Well, the fact that your Gevey is able to read the carrier networks around you indicates that your Gevey is working perfectly in your iP4. You might want to re-confirm the same by using other n/w carrier SIMs as well to see if the issue persists. Make sure that you did not have any SIM lock on your SIM either whilst using the Gevey. hi I do not have an at&t sim to activate iTunes or the phone can you help me actuate the new UK sim I have without access to stinging screen I only have the emergency screen/connect ti iTunes screen available to me and a gevey sim. Hacktivate your iP4 by using Redsn0w0.9.8b7c w/o ticking any of the available options. Make sure that your iOS version is below 4.3.4+ & DO NOT tick any of the available options in RS. Your selected mobile network is no longer available. You can choose a different network in Settings. and my sim was working before i jailbroke it, any ideas or suggestions?! Type in your iPhone BB / iOS / Modem FW details as well along with your issues to better understand the problem. Can’t help you much w/o them. thanks for ur quick reply. i did jailbreak but i dunno why it was showing emergency call only. i send to the phone shop they told me that i need to get original sim card and 4.3.4 can’t jailbreak. :( i dunno what i m gonna do now. No you haven’t jailbroken your device at all. Read my previous reply again & try getting the same carrier SIM from someone. Any other SIM from the same carrier or from your other iPhone buddies will do just fine in getting your device activated via iTunes. If you are already jailbroken, then why are you struggling at the emergency call screen? Looks like you aren’t jailbroken at all. FuriousMods are for the Gevey Ultras. Switch the Gevey with a brand new one. Probably its bad / not a genuine one. Get it checked with your Gevey dealer. I’ve got to the SIM Failure part but I don’t get any signal. Any ideas? Try a different Gevey / carrier SIM card. Also make sure that you do not have any SIM PIN locks on the SIM that your currently trying to unlock. you say dial 112, is that for all countries, say if i was in UK gevey cards work with 112? Yes, you need to dial 112 irrespective of the country in which your dialing it. Its a GSM worldwide emergency number. Please help me get facetime started on my Iphone4. I am using some turbo sim ( ios 4.3.3). I keep getting ” waiting for activation ” when i on Facetime. Please guide me. before i unlock my iphone4 i did jailbreak then i unlock my phone after that i couldn’t open cydia. how shall i do ? trying to unlock 4.3.5 with a red gevey. I go through all the steps just fine but in the end the iPhone shows Searching and after a while No service. Any ideas? Have you tried the same with a different carrier SIM as well? Does it also respond in the same manner? I am using the red and the yellow and none of them are working. Try different carrier SIMs with the same Gevey. Also, try the same Gevey with different iPhones as well. First, thank you very much for sharing all of this great info, it has been very helpful. I am still having a problem though. My gevey sim worked great other than the internet which now i know is because i have the supreme yellow and not red (thanks). However, it only worked for a day or so before i couldnt make any calls. So i rebooted and went through all of the same steps. The problem now is when i get through all of the steps shown and turn airplane mode off it goes to zero bars for a second or two and then shows me no service in the top left. Please help! You might want to get that Gevey of yours replaced with the Red version. This seems to be a common issue among the Yellow versions / with those that aren’t genuine or are bad. Use the Red version & your good to go w/o any hitches. Which version of the Gevey are you using? Also, did you try the same Gevey with a different carrier SIM as well? Try the same with a different SIM to see if the issue still persists. 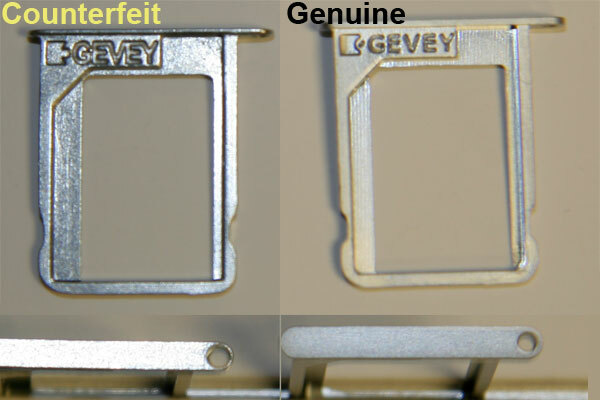 Replacing your Gevey would definitely help because it looks like that Gevey is either bad / not a genuine one either. The original Gevey message will always come up with a really good success rate when compared to the non-genuine ones. i sent an iphone 4, version 4.3.3 to my frend, using gevey sim to unlock the iphone.. with a roaming sim network from the philippines.. he is now in italy, how come when he tries to do the steps on how to unlock the phone, its not working , pls help …. That’s because the Gevey exploit works under the impression that your using a SIM that belongs to the country in which your in right now. Therefore, roaming doesn’t work. But then you can always use a local SIM of the country in which your roaming right now. Redo the 112 procedure again. It probably because your using the Gevey Supreme Yellow which does infact have issues with the data connectivity. Hey guys, i have a couple of questions hope u’ld be able to help. Here is the deal, i got my iphone 4 4.1bb 2.10.04 from the states, locked to AT&T, apparently it was activated first before i got it. Anyways, i jailbroke with limera1n and was waiting like everyone else for the unlock which never came out. Till Gevey was released, i got one from germany, and it worked just fine even though i have never seen the welcome msg even for once. – i dont have the small camera icon right next to the text msg box. I never updated my firmware neither my itunes, lol, i know it sounds silly, but now i feel the urge to do that, coz every time i connect to itunes it says version 4.3.5 is available, so would that help fixing my problems? Would i be able to unlock using the same gevey i have now or buy a new one or it would be impossible? Its simply an issue that’s caused by your Gevey rather than your iPhone itself. You might want to get it replaced for a Gevey Supreme Red instead possibly because the one you have right now is either bad or a rip-off. Also, updating to iOS 4.3.5 will still make you see the same issues as its the Gevey that you need to replace. Its probably because your Gevey is either bad / not even a genuine one itself. Get your Gevey replaced with a new one & try again. Can someone help me? The welcome screen will not appear and everytime I boot up my iphone it will always say “no sim”. Signal will never appear. When I put in my sim card by itself it can detect it but when i put in the gevey it doesnt detect anything and will always say “no sim” I cannot access the sim either through phone > sim applications because that option is disabled due to “no sim” and tried rebooting many times and adjusted the microsim with the gevey. I double checked the gevey and the tray and they are just like the pictures. What else can i do to get the welcome screen or 1 signal bar to appear? Your Gevey is probably bad or isn’t working at all for some reason. Try a different SIM as well using the same Gevey to see if the issue still persists. If yes, you definitely need to get it replaced. Did you have any saved SHSH blob for that version to which you were restoring to in the first place via Cydia/TU? Hi I bought an Iphone 4 and used the gevey sim to unlock it for tmobile. The unlocking works great, your dirrections were wonderful, however, I can not get EDGE or mms to work. I have tried a few different things and it worked for about a day and stopped! Please help! If your using the Gevey Supreme Yellow, then this Gevey does have issues with Data connectivity. You might want to switch to the Gevey Supreme Red version instead which works flawless. You need not preserve your BB since you do not rely on an unlock at all. If you want to jailbreak your device on iOS 4.2.1, use Redsn0w. Read this. Use the latest version of Redsn0w http://bit.ly/p4YiRM. Fire up Cydia & have a look at its homepage here http://bit.ly/qS5bjW. If you see any other than 4.3.4/4.3.5, you can update, else restore your current iOS version itself. The Gevey doesn’t have anything to do with your sync issues. 1- Do i have to get a new Gevey sim every time i upgrade my OS or it will work anyway with the new updates? 2- Do i need to perform the whole process every time i lose connection? 1. Any version of the Gevey works upto iOS 4.3.5 ONLY. Once the iOS 5 is out, it will be useless. 2. If your using any version other then the Gevey Supremes/Ultra, then YES, you will need to repeat it each time you roam/switch OFF your device. You might want to check the pricing details & everything else with the local stores. Yep, some of the Geveys does have this kind of issue simply because they are either bad or not genuine. You might want to replace it with the Gevey Supreme Red instead. It seems to work pretty well than its earlier versions. I have followed all the step mentioned above and got my I phone unlocked but after 5-10 seconds It’s showing Invalid SIM. I’m not sure what to do with this. any suggestions. Make sure that you do not have any PIN lock on your SIM. Remove if you have any set using a different handset & pop it back into your Gevey & retry. It is the gevey supreme that i am using. I still can’t figure it out. the wifi won’t even connect either its really weird. Any idea’s? Eject out the Gevey first & then check to see if the Wi-Fi is atleast able to detect the nearby wireless networks. If Yes, then its time to get a new Gevey. If not, then its an issue with the iOS that your running which might need a fresh installation of the iOS. hey i have an iphone 4 unlocked with a gevey chip and i cant get my internet or data to work.. My data roaming is turned on and so is cellular data. Any ideas? Is this the Gevey Supreme Yellow version that your talking about? If so, then they are known to have data connectivity issues & that’s the reason they have released an updated version of the same called the Gevey Supreme Red which works pretty fantastic. You might want to switch to that instead. hi, just one question. im using gevey sim but i was told never to turn off my iphone or let its battery drain. now im having trouble with safari (it froze) and im just wondering, can i turn my iphone4 off and reboot the system and maybe safari will start to work again? thoughts pls? thanks! Yes, you definitely can reboot your device. But you will need to redo the 112 dialing steps to get your signal back. hi,i have read almost all the comments above and couldnt still find a solution to my issue.My problem is very weird. After i have done everything above i see actually full signals but in a minute it has gone. sim failure-no simcard. i several times saw signals i even made a call and talked but this took just seconds then it is gone ….call failed…. what is wrong? something wrong with my gevey ?what do you suggest ? i want it to work i have been spending a lot of time on it. There seems to be a problem with the Gevey SIM itself. Probably because its a bad/not a genuine Gevey SIM. You need to check your SIM with other Geveys as well to see if this is the case with every single one you try or this particular one & then get it replaced. Read the post first & then submit in your queries. The post right above explains it all in detail. Hi , m using IP4(4.3.1) with gevy turbo sim..can I jailbreak it with regular procedure of jailbreaking…??? And by regular procedure you mean? Hi, its working perfectely. thank you. Make sure that you have your GPRS settings installed for your carrier on the iP4. Verify the same with the carrier as well to see if you have a data plan activated on your SIM or not. Ok. Thank you so much for your help. I will try to find a better place. It can be a promblem, that i am in a forest :) and i think here is no service? Obviously Yes. That can definitely be the problem of your No Service issue. If you do not have the signal itself, there’s no point in using the Gevey itself. HEY SO I HAD my phone unlocked and I the person used Gevey so it originally was working fine until I lost services. After that getting service disappearede. After going threw everything that you have above, I can not get service or get my T mobile to pop back up. Every time I reset the phone and do the process I get a couple bars I may even get full bars but T mobile never pops up. I did have service before when I first got the phone unlocked. Now It will not come back I have been turning it off and on going threw the same steps that you have above and Im getting nothing no service or maybe one bar, for about 24hrs now.please help me.. So your still able to make calls & send SMS messages as well but your not able to see the carrier name? Is that your issue or something else? you are awesome! But now I rebooted with the gevey sim and the message not appear eaither. On the left corner now ” no service”. Well i guess you need to wait for sometime before you see the message pop-up. Even before you Slide to Unlock your iPhone after the reboot. I can’t remove (settings –> phone– > sim pin –off ) when i push off and type my pin the phone just try to save it, but nothing happening. When the phone is trying to save it, on the left corner 1 signal bar is appear, but after the “locked sim” message come back. Put the SIM in a different phone & then try. I would like to unlock my iphone 4 (4.3.3 – 4.10.01) with my new gevey sim. The massage “Please select accept to continue…..” neve appear on my iphone 4. The phone just say: locked Sim, and ask me about my PIN, to unlock it. Yes, you SIM shouldn’t be having a SIM lock PIN on it. If you have one, then remove the PIN & retry the Gevey. If it did not work, try different carrier SIMs as well. Its working fine but have one problem that on the incoming calls CLI is not working,,,means even on my saved numbers the name is not displaying on the incoming calls it just shows the number of the caller. Make sure that you also add in the country code of the country that you belong to as well for every number that you may have in your dialing list. Whenever i turn off the phone and turn it back on the signal bar doesnt come up it says searching …and then No Sim after that …and there is no Message for the geevy service coming anymore ? it has come before but now its not showing .. Probably a bad Gevey you have got there & hence it doesn’t work anymore. Try a different Gevey SIM to see if that solves your issue & if everything fails, replace your Gevey for an original one. Never upgrade my device? Really? Wow! This might be a really dumb question, but how would I know if it has been jailbroken or not? And my phone will be fine if I never upgrade it? Yes, your iPhone will be just fine. Though if you still want that update badly, you can very well do that on your iP4 since you do not rely on an Ultrasn0w unlock. But, keep in mind that you will need the help of your computer to boot your device up each time you restart your iP4 if want an unlock on the latest iOS. You will have to sacrifice one for the other. There is no hurry for you to update is what i say & make sure you use iFaith before you plan to do anything. I am wondering if someone faced the problem I am facing,,,,i can unlock the iphone perfect but for some reason i keep losing signal and i get the message “searching” where the carrier signal should show up and so to get my signal back, i have to set the airplane mode on and then off and so I get the signal back. this happens a lot and i don’t know why? Yes, this issue is quite common among those who might have ended up with a bad Gevey. These Geveys are sometimes not able to catch a continuous carrier signal for your iP4. Pop in a different Gevey from your friend to see if your facing the same issue. No, if you have never jailbroken your device, its always advisable to stay on the iOS on which you are right now. Ideally you should save your SHSH blob for your iOS 4.2.1 using iFaith. Do not upgrade your device ever. Read this http://bit.ly/qIa3E7 to save your SHSH blob for iOS 4.2.1. How do I keep the 4.3.3 firmware? By saving your SHSH blob using Cydia. If Cydia hasn’t saved one for you, then use iFaith. I brought it back and he used different begets, all pro. Even brand new ones. It still does the same thing. I noticed that it has trouble finding the carrier. I got a new sim card and gevey and still doesn’t work. Can it be the phone? Should I restore it? Hmmm, Yes. It definitely could be the iPhone now that’s causing this issue. Yes, give your iPhone a fresh restore & give it a retry. Make sure that you do not retore to the latest 4.3.4/4.3.5 iOS versions. Hi, I need help. I just bought a gevey pro from a local cell phone dealer person at the mall. It is 4.3.3 with baseband 4.10.01. When he first put it in it worked. It was working for an hr or so, I was testing and calling. Later on i restarted the phone because it froze. Now it doesn’t work. Get it back to the dealer right away and ask him what’s the issue. It could be many reasons for one being not a genuine Gevey. Are you getting your country’s carrier list in your Settings? Hey ever sin e i installed the gevey i. Cant sync my itunes with my iphone! A message pops up that the iphonehas to be restored! What can be the problem? Did you try removing the Gevey out and then syncing your iPhone? Hi, i just unlocked my iphone ios 4.3.3 bb 4.10.01 with gevey. signal fine, but i can’t make a call and connect internet. i only can send message and receive call. what should i do?? Is this the same case with other carrier SIM’s as well when you try them? Your query is too vague. I can’t point you in the right direction w/o you giving the details of your iPhone Model, BB & iOS versions. Can someone help me please? I want to know if I can update my iPhone 4 which is currently on 4.2.1 to 4.3.4. I’m using gevey sim pro and the firmware is on 3.10.01. Will gevey sim pro work after I update? Yes, the Gevey continues to still unlock iP4’s on iOS 4.3.4. Confirmed !! ohh! and i jailbroken it savring bb and make it 4.2.1 is this why the accept do not apear ?? Why do you want to even use the Gevey when its possible to unlock this BB iP4 using Ultrasn0w !! Thnx boss,it works.Gevey sim ROCKS.Today I upgrade my gevey unlock iphone 4 4.2.1 bb 03.10.01 to iso 4.3.3 bb o4.10.01.All the functions r great.Yoiur advice is great.Thnx again. Thnx guys, Gevey sim ROCKS.Today I upgrade my gevey unlock iphone 4 4.2.1 bb03.10.01 to iso 4.3.3 bb o4.10.01.All the functions r great.The best thing is my three month old gevey sim works with the new iso nd firmwear,Thnx again.I think the only problem is-may be battery drains little bit early.Anybody face these kind of problem ? What ‘ll be the solution ???? Battery drainage is a common issue with the Geveys mostly seen among the non-genuine ones. Make sure that yours is genuine. I have a gevey supreme purchased from eBay I tried to use it with my locked iPhone which is locked to o2 in the uk. I am trying to use it with tmobile in the uk. The Gevey that your brought is probably not genuine. Have you tried the Gevey with a SIM from a different carrier as well? If its still functioning in the same manner, then definitely you need to get it replaced because it simply doesn’t work. You can get a new one as well from Applenberry itself. Issue is some where else. Can i try restoring and re activating? If your sure that your Gevey is a genuine one, then chances are that its gone bad/not working anymore. What you can try is to pick a Gevey SIM from your friend’s iP4, pop it into yours and see if it behaves in the same way like how yours did. My 3G is disabled and it is listing all carriers. This gevey sim was working properly for reboots till now. Today i removed the sim once and placed it back. After this above problem. Network lost. Should i clear any network related settings? Its possible that your Gevey is not a genuine one due to which is failing to work at every reboot of your iPhone. Get your Gevey replaced and retry. no, it cant find the carriers- it says its searching for it, and when i click to automatic because it wont show me at&t or tmobil it still doesnt work. i really have no idea why this isnt working. I would suggest you to try the same with a different T-Mobile SIM, other than the one you have. Also its very much possible that your Gevey (whichever version it maybe) isn’t working that well with a T-Mobile SIM probably because its not genuine. Try it out with a different T-Mobile SIM with any Gevey from your friend that works to see if its resulting in the same issue. my 3G is off, i really dont get how to make this work. What can I do? Are you atleast able to see the list of carriers within your area in your Settings ? Hi, I had gevey sim working on a jailbroken iphone. Today, i decided to restore and erase all data to check if that fixed a battery drain problem I was having… And now, I cannot get Gevey to work… Every time I reboot the phone I get the No SIM card installed message. I do not see the welcome screen… What should I do? I have read that ‘DO NOT RESTORE AND ERASE ALL DATA WITH THE GEVEY INSIDE’, but it was too late… Help please! Does this behave in the same manner on a different iPhone as well? Check that as well by popping your Gevey into an another iP4. If yes, then again check it with a combination of SIM’s & iP4 from different carriers as well. Your Gevey should start working in one or the other scenario for sure. If not, your Gevey is probably dead and you might want to get it replaced/ get a new one. also just on the off chance that you did have the 3G “off” and its still doing what you say, did you try your gevey in your mates fone and his in yours? Hi,I hv an iphone 4 4.2.1 BB 03.10.01 and unlocked by gevey sim.Now I want to upgrade the iso 4.3.3.What will be the procedure,I just connect with itune and upgrade ? My original nocontact sim was AT&T.My question is,what I need to do-remove my present sim and insert the original one and upgrade or just connect and upgrade(Before unlock,I activate my phone using the AT&T sim).Another thing if I upgrade 4.3.3 will my BB change ? Pls help me. Yes, you can update it via iTunes directly. And Yes your BB will change as a result of the update, but that shouldn’t matter because the Gevey still supports the iOS 4.3.3 BB. Pop in your AT&T back into your iPhone till your Update completes. After that pop your Gevey back in and your good to go. Okay, I need major help. I have the black iphone 4 (4.3.3), I was using the Gevey and everything was working fine. About 2 days ago it popped up to that welcome Gevey screen and I wasnt able to get it to work again. I went to the apple store – they gave me a new phone. Went to Tmobile got a new sim, replaced the Gevey like 3 times. I do the whole process, and it even works for either like 15 seconds (and 2 times for like 10 minutes) but then all the signal bars go down, and it starts saying “searching”, and thenit just says ” No Service”, and stays that way. I dont know what to do. I know that it starts to work but I have no idea why it stops!! Right when im about to dial the “112” a little thing pops up saying “Network Lost” and im thinking maybe that has something to do with it? It makes no sense though, because my friend and I are on the same plan and his isnt doing this- working just fine, so I know its not my service!!! Hi if the phone has been blocked by IMEI would it be possible to be UNBLOCKED (no UNLOCKED) using Gevey Turbo SIM? Maybe its possible. But as a matter of fact, your IMEI is blacklisted by your carrier probably because somebody reported it missing/stolen & therefore if your carrier finds it out that your trying to use it on a particular carrier, it gets flagged in their system and the next thing you know, the police is at your doorstep. Its a serious offense and therefore your carrier might not take it lightly. You always need a valid IMEI to be able to use it with a carrier SIM as your SIM will broadcast this information as well. You seem to have a bad Gevey. I had the same symptoms like yourself. So,I went to the local Cell Phone shop to actually buy a different SIM Card for T-Mobile thinking the problem was because of the T-Mobile sim card. The Gentleman at the shop suggested I try a different Gevey before I go and invest in another Sim Card. He was right, the problem was not with the T-Mobile sim card but the Gevey card. He installed the Gevey Supreme and it has been great so far. I can’t make a call after i’m unlocked iphone4 with gevey pro, but i can get 3G internet connection. what i’m missing? Are you getting the signal and the carrier name as well? What happens when you try to call someone? Please explain. when i turn on my iphone it goes directly to no service ive got it to work 2 times before i added dreamboard from cydia when i reboot it dowsnt give me the message. Uninstall Dreamboard. Dreamboard by defualt overrides many of the inbuilt functions of the default iOS theme to give you the WOW factor look. Probably the Gevey is designed to work in such a way that when it see the default iOS springboard loaded, show up the Gevey message. Right now, I guess its having difficulty in finding which theme/version it is. Uninstallation of Dreamboard should work just fine. is there any thing other than this..
Hi I was hoping you could help me. on my iphone after i place my Gevey sim in and true on my iphone a, “no Sim installed” shows up before anything else dose. I cut my Sim card perfectly, I even went and bought a new Gevey sim but I keep getting the same results. I was hoping you could help me this iphone has been driving me crazy!Thanks. Do you see the Gevey Welcome Screen? Can you see if the same problem persists with a SIM from another carrier? Probably you can ask your friend’s SIM from a different carrier to see if the same issue persists. i have completed the same procedure..as you said …full signal bar apears i made call to one friend also but after few minutes it again goes on searching than sim failure…and invalid sim bought another gavey sim…with warranty…same happens in that also…mine iphn4 4.3.3 4.10.01..either you suggest some thing to resolve or suggest some web site for factory unlocking i m ready to pay….even since 7 days this is only ipod not an iphone…….. Right now, there are no websites that provides an auto unlocking solution anymore. So Gevey is your best option for the unlock until iOS 5 comes out. Make sure you have your 3G services set to OFF and try if its happening the same way. Make sure that your Gevey is genuine as well because fakes do not support all the SIM’s. Which carrier SIM do you use totocrazy2? In case your using T-Mobile, you should know that its 3G frequency is not supported by the iPhone’s hardware and hence you’ll not be able to use their 3G services. Yes Kumar, its possible that since you have changed the attribute of your current Dreamboard theme, your time stamps are getting errored. What happens when you change the current theme back to your default iOS theme? The time stamps should be working fine then. Am I right? This means its something to do with that specific theme that your running and hence the only solution for this is to not use that particular theme anymore. i’ve got a normal Gevey Sim will it still unlock iOS 4.3.3? Yes, it’ll definitely unlock your iPhone on iOS 4.3.3. Go to your local Cell Phone Store and have them put one in your phone. It might cost you a little more but you’ll walk away with something that works. I’ve tried about five difffernt ones online and all of them a dud. I used a Gevey Supreme and it works just fine. With Gevey Supreme you don’t have to go through the whole process when there is “No Service Signal”. The signal shows up all by itself. Yes, its something to do with the Gevey itself. Pop in a different SIM from anyone of your family members to see if it still behaves in the same manner. If yes, you’ll need to get the Gevey replaced. Are you getting Gevey’s Welcome Screen as well? – After every turning off I have to the same steps like at first time? 1. Yes, you’ll need to repeat the same steps for every reboot of your iPhone to get your Gevey activated. 2. Yes, you can go ahead and switch ON your 3G. Hi. I have a problem with my Gevey Turbo Sim, I do anything written here, but when I turn on my iPhone with Gevey tray and new sim, the wrelcome screen never comes, just the sreen, that only emergency call, and needs to connet to my computer for iTunes. I changed the lagnuage to english, and I turned off the PIN code from the new sim. Help please! If your stuck at the Emergency call screen, you’ll need to pop in your official SIM with the original SIM tray that came locked with your iPhone and connect to iTunes. Only then will you be able to skip this screen. This has nothing to do with your Gevey. Yes but my iPhone is not locked, I use it with original sim 3 month ago, now I want to change operator, and when it sees the new sim in Gevey, goes to iTunes connect screen. Thanks for your help. I agree. But your still stuck at the Emergency Call screen right? Yes with Gevey and new sim it’s always at emergency screen with iTunes connect logo, and the welcome screen never comes if I turn it on. Hmmm, weird problem there. In that case, it requires Hacktivation. Download the latest Redsn0wRC18 from here http://bit.ly/lMeWpa and run it without ticking any of the options that RS shows you. You should be successfully Hacktivated and back to your Home Screen. Now, you can go ahead and try the Gevey. I’m using the brand new gevey supreme and i know it’s legit (i checked the serial number on gevey’s website). I’m running 4.3.3 with baseband 04.10.01. My iphone is hacktivated with redsn0w and when I pop the sim card with the interposer in it shows one signal bar for about 5 secs and then “invalid sim”… any ideas about what i should do next? Have you tried the same Gevey with any other carrier’s SIM as well to see if its the same case? If the problem still persists, you might need to get your Supreme exchanged for a new one. Though its legit, sometimes they cause Invalid errors as well. Make sure you try it with a different combination off SIMs to double check. Ok, i think this gevey is not good then… Thanks for your help! I was going through the same heartache with Gevey’s and Gevey Pro’s for the last month. Yesterday I went to a local cell phone shop thinking it could be my T-Mobile Sim Card, But then I found out that all of those Gevey’s were either defective or Fake. The Cell phone shop guy pulled out the New Gevey Supreme in a yellow package. He insalled it, turned it on went through the process once and “Wallah”. So far so Good. Don’t waste your time or money buying online, go to your local cell phone shop, pay a few dollars extra and get an original Gevey Supreme. 1. do you still have to use the aeroplane mode when using the internet? 2. how much in total did you pay for it? First time to start the Gevey Supreme Sim Card with your iPhone 4 ,you have to Dial 112 . After 15 seconds, hang up, switch the flight mode. Then you can surf the internet . You have to do it like this each time, if you like to surf the Internet ,It’s the same as generation . but if you would like to surf the internet, you also need to dial 112. Yes, 15 secs is just wrong. You need to keep it dialed only for 2 Secs. Also seems like your having the yellow Gevey Supreme (due to the data connectivity issues)? Am I right? Applenberry says its a fake because Applenberry doesn’t manufacture them & nor do they sell them. These Supreme’s & Pro’s (Yellow & Red) come in manufactured from China and hence the fake message on their website. service shows up on it’s own. having problem with the Gevey Pro.. it does find the network after the 112 call and airplane mode etc. but loses it after a few seconds going to NO SIM. Have you been facing this problem right from the time you bought the Gevey or is it only recently that you have started facing this trouble. If your using T-Mobile, make sure you have switched OFF your 3G. If not, it seems like something is wrong with the Gevey itself. To confirm this, pop in a different SIM to see if its behaving in the same manner. If yes, you’ll need to get your Gevey replaced from your dealer. my unlocked iphone 4 worked for 3 days. now it doesnt work anymore. everytime when i do all the steps they give me 4-5 signals and then loses to 1 bar and says no sim failure and no sim install then says no service. i can still see my phone number and the carrier sometimes. i need some help! i had signal early this morning but not anymore. also i dont see my facetime slider and the data roaming tab under cellular data (the second one not third) because i tried to follow some blog to fix mms and facetime :/ should i go to itunes and restore everything? Don’t restore just yet. Make sure that your SIM is tight and not too loose on the Gevey slider. It does happen at times when the SIM is loose. Also try the same Gevey with another SIM to see if the problem persists. If yes, demand a replacement from the dealer your brought it from cause the Gevey seems to be bad. If I don’t have any gevey then can I make it work with jailbreak all over the world. You need not jailbreak if you have the Gevey. It’ll get your iPhone working with any network around. The Gevey will get the unlcoking done for you. In case you do not have the Gevey & your iOS > 4.0.x, you’ll definitely need it because right now Gevey is the only solution to get your iPhone unlocked on a different carrier for this iOS range. Can someone put a picture of the T-Mobile Sim Card that actually works with the Gevey Pro Sim. I tried two different Sim Card from T-Mobile and so far no luck. Under the comment from NetCruzer, gives the instructions on how to’s. Thanks anyhow for all your help.!!! My friend and I have the same carrier, that’s why I am confused in why mine doesnt work. please let me know what you think! Try to put his SIM only onto your iPhone with your Gevey itself and see if your able to get it activated via his SIM. This is just to find if its your SIM alone that’s causing this issue. Try it out and let me know. if i click on ‘Import SIM Contacts’, then it says: “Importing SIM Contacts” for 1 second and then goes away… It’s doesn’t do anything afterwards… Can someone tell me what the problem is and what I should do? Do you have them on your SIM ? If so, remove the Gevey and pop your SIM in with the original SIM tray and then import. Make sure you have the contacts on your iPhone first. I have a problem the service provider name is shown but next to it no bars are up like their is no service … i don’t know what to do pls help me!! Thanks you; works for me iphone 4 4.3.3 using gavey pro with simple mobile. I’m using Gevey Pro on Iphone4 4.3.3 baseband 04.10.01. I go through the entire process and I get full bars and T-Mobile Sign, but it only lasts for couple of minutes then it goes back to either No Service or Searching and No Service. Tried hundreds of time but same result. Make sure you have switched OFF 3G when you have a T-Mobile SIM inserted into your iPhone. iPhone doesn’t support 3G on T-Mobile. I tried with the 3G On/Off, Data Roaming On/Off, Celular Data On/Off still nothing. I turned everything Off also and still the same result. Any other Suggestion. Would the New Gevey Supreme be any different? Nope, the Gevey Supreme would also behave in the same manner as well. Try a Gevey from your friend to see if it behaves in the same manner. That should tell you whether its the Gevey that’s causing the issue or not. Hello, I am currently using Gevey sim pro and it’s been the same gevey since I was with ios 4.2.1. Now I am in 4.3.3 and it works great. However, I am trying to use Facetime with no success, I have installed Sam and I am Wildcard activated from Itunes, ipusher installed with success Pushes! Facetime still doesn’t activate, hangs around the “waiting for activation” msg. I tried Push Doctor pushes work fine, but facetime still doesn’t work. What else should I try? Any ideas? If you have your iPhone Wildcard Activated, you have FaceTime shouldn’t have any problems. You’ll need to wait for the Activation Success message to come up (Max 5min). I have been waiting for longer than 10 mins with no success, however when I try activating facetime, I do get a msg that says “Your Carries may charge for SMS msgs used to activate Facetime”, I click OK and nothing happens. After waiting for more than 10 mins, I get msg “Activation Unsuccessful, turn on facetime to try again. 2. Search for FaceTime Hacktivator. Install the app and reboot your iPhone. 3. Go to Settings > Phone, and activate the FaceTime option. (Toggle it ON). 4. Your iPhone will now send an international SMS to activate FaceTime. I downloaded Facetime Hactivator from the repo you provided. Facetime stills halts on waiting for activation msg; I have a friend that has and Iphone 4 with Gevey Sim running ios 4.2.1 and his is working with your method, so I question what could be wrong with mine. Do you have any other Ideas? Are you both using different carrier SIM’s? 7. wait until 1 signal bar disappears and NO SERVICE message appears. It means that you should do all the default steps for gevey, by ignoring all the sim failure messages…. I want to confirm what is on the blog questions. I have iphone 4 with 4.2.1 and 03.10, using the original Gevey (NOT Pro). According to the answers there is no problem to update my phone to 4.3.3 and continue using the original Gevey. If i preserve the baseband I have to install ultrasnow 1.2.3 to fix the only one bar signal problem. Is this correct? will the Original Gevey work if I update to 4.3.3 and update the baseband as well? Yes & Yes. You’ll need to use Ultrasn0w in any situation of preserving the BB and upgrading the iOS at the same time. Else, you’ll face the single bar issue. Gevey supports all the iOS & BB versions upto iOS5b1 as well, so you really don’t need to preserve the BB if your using the Gevey SIM at all. I am using iphone4 4.3.3 and 04.10.01. After using the new sim card in the Gevey Pro my signals stays at 1 bar for eternity, and the welcome message never appears. I checked the language setting but could not find the option for phone > sim setting. My phone language is set to English. When I use my old At&t sim card along with the Gevey pro, the welcome message appears now! So I guess the Gevey pro does work but not with my new sim card. Can you help me? Thanks! To confirm if the Gevey doesn’t work on your SIM, try a different SIM, from your friend maybe, preferably of a different carrier other than the official AT&T. If yes, then its your SIM & carrier is the culprit that’s causing the issue. If it doesn’t work, definitely ask for a replacement of the Gevey because that seems to be the problem. i am using iphone 4 ,ios 4.3.3 bb 2.10.04 with gevey sim and i am having only 1 signal bar, previously when i used iphone 4 ios 4.2.1 bb 2.10.04 i got full signal bars, so is there any tweak or patch to get full signal bars in 4.3.3 using gevey sim with bb 2.10.04??????? after installing ultrasnow 1.2.3 i didnt even get that 1 signal bar also?? i got no service….. It seems your preserving your BB. If so, even if your officially unlocked you’ll need to complete the unlock by installing Ultrasn0w 1.2.3 from Cydia. Follow this guide here http://bit.ly/lAcuoN in order to do so. I bought a new gevey sim, I got pass the ‘no sim card installed’ part but after that.. full bars wouldn’t come up and it goes back to invalid sim… what should i do?? what else could be wrong with this?? Retry the Gevey again because it may never work the first time. Otherwise, its an issue regarding your SIM that seems to be the problem. Try a different SIM with the Gevey to see if the problem persists. If yes, your Gevey is good to return. If not, your SIM card has a problem in contacting the carrier and needs replacement. Hi, can anyone show me how to activate facetime from t mobile.it keep asking waiting for activation. Why I have iPhone 4 4.3.3 and bb 04.10.01. The website u gave me can’t find push doctor any where? I am really not sure , will it work after that , beacause i dont want to lose my Unlock. If I upgrade I am really not sure of Gevey working on 4.3.3 and also does updating of iOS will also change my BB????? No issues. Gevey works even on the iOS 5b1. You can very well go ahead and update yourself to the latest iOS 4.3.3. I hope that iT will work fine …Just for my knowledge could u plz tell me that When I will update my iOS to 4.3.3, my BB will also change or it will remain same????? and aslo is there any Jail break for iOS 4.3.3/BB 3.10.01 that I can use after Update ??? If you ever update to the stock Apple iOS, it’ll update your BB. But since there is no unlock for the same as of now, there is no point in preserving the BB as well. Therefore you can go ahead and update the same. You can also jailbreak 4.3.3 using Redsn0wRC16. Download the latest from here http://bit.ly/kOhAeX & follow this guide here http://bit.ly/kPhfh0 to get you jailbroken. (iOS 4.3.3’s BB is 04.10). I see you have waited for a long time for the “No SIM Card Installed” eroor to pop up. Did you try the same Gevey with a different SIM? I suppose its something to do with the SIM. Try it out. Mark, the original Gevey works upto iOS 4.3.3. There’s no way that the Gevey would work only for a specific iOS & BB version. also @ cindy you did activate the new fone through itunes with original sim from the carrier who its locked to? Yes i did activate it with an original sim.. mm.. mayb i’ll try getting a new gevey sim to do it. my first one was 4.2 and now its 4.3.3..
thanks for the help guys~! Don’t worry about the iOS versions. Just pop the Gevey into another iPhone and try it out. will Gevey PRO SIM work on iOS 5? Hey thanks for all the advice and info. I just got the gevey and put it with my tmobile. I tried all the steps, and I get to the end with all my bars showing and even my phone rang, but my (service tmobile) doesnt show up, even though the bars are there. Then after a couple minutes it goes away and says sim failure. Anyone experience this or have any advice for me? I appreciate your help. Well since the Gevey is grabbing your signal and is also able to make calls too, I would want you to try the same Gevey on a different SIM carrier to see if the problem is still the same. If yes, then the Gevey is bad and you might need to get it replaced. Before doing so, try out the Gevey with a different carrier. The Gevey has nothing to do with the iPhone in terms of restore/updates/jailbreaks. So you need not do any of those to get the Gevey working. Make sure that the SIM is working fit inside the iPhone and that gevey is also cut properly to fit in as well. Sometimes it happens when the Gevey is bad and you may need to get it replaced if it doesn’t work at all. Try it with a different iPhone also to see if the problem persists. If so, return it. Can you tell please when the new jailbreak will be realesed 4.3.3 with changing baseband to 00? Ashish, yes its a problem with the Gevey. This commonly happens to those Geveys that are bad. You’ll need to make sure if the SIM if sittin fit and perfectly inside your tray. You’ll also need to do it more than once to get the Welcome screen to get you started. Pulling out the SIM and popping it back in works always. Make sure you Switch Off your mobile completely as well and den pop in the SIM back. No service is a common error. If this is the first time you using the Gevey, try the Gevey on a different SIM and then on a different iPhone as well. If everything else fails, the Gevey is bad and you’ll need to return it back as well. i downloaded and install the Skype application from app store ..
i do have apple id..
when i installed the application and used it for the first time..the network signal goes off and giving me like no service..
and now i uninstalled the application and tried to do the unlock again.. I had one more question like …can I download and install apps from apple store…will it lock my phone….? Is der any solution for this…? Yes Sam, you can go ahead and very well install all the latest apps of the AppleStore. iTunes will not lock your iPhone out thinking that its an unlocked iPhone. So no worries. :) Yes, you’ll need to use Cydia to download tweaks, apps, and themes and so many otherr things from cydia. Installous is another tool that lets you download Apps off the internet which can be downloaded from Cydia. Since you have unlocked it with the Gevey, you’ll need to go through the initial steps every time you reboot. But soon enough the Gevey Pro Plus is going to be released that will allow you to skip the 112 dialing procedure. Have a look at it here http://bit.ly/lHufM4. and i go to the settings and on it..
but it is not activating..
can you suggest me what to do..? I would recommend to take it out as with an Gevey genuine or not! Hi, I have an unlocked iPhone 4 with the gevey sim and it works fine but the only problem is I can’t receive picture messages or send them. I have put in all the tmobile settings but I have to reboot and do the whole unlocking process over again and the mms still doesn’t work is there any fix? I put those new settings in but do I need to reboot it? Because I tried to send a message without rebooting it and it didn’t work. Yes, you must restart your iPhone after entering in the Settings. I restarted it but it still doesnt work. You’ll need to check with your carrier if the Settings are entered right for the MMS. Give them a call and let them know your issue. They’ll be able to sort it out for you. Hey wolverine! can i use SAM if i am in 4.1 and using a Gevey sim? or i must upgrade to 4.2.X??? Go ahead Oscar. :) You can use SAM to officially activate any of the iPhone models. do u know wut happen? Make sure that your SIM is completely detected by Gevey. Sometimes it does happen if the Gevey is bad. Try it with a separate SIM also to see if it behaves the same way. If yes, the Gevey is bad. Gevey SIM works transparently. Go to Settings -> Phone -> SIM Applications and see if u get language options? Patrick, the menu Settings > Phone menu is unavailable, saying “No SIM”. It cannot be selected. It’s just as if there wasn’t a SIM installed. There are no language options because there is no way to go into the Phone menu. Make sure that your SIM is completely detected by Gevey. See if your able to get a single signal bar the first time you pop in the Gevey. Sometimes it does happen if the Gevey is bad. Try it with a separate SIM also to confirm if it behaves the same way. If yes, then you can safely assume that the Gevey is bad. I’ve tried with a different SIM and it still doesn’t work. I’ve tried on a different iPhone and it still doesn’t work. At this point, I am returning the Gevey. I have the Gevey Pro and can get it to work on ANY sim card. It’s from applenberry, they tested it before sending and i can’t get anything out of it. Tried some of the stuff on this post and still no luck. As of right now, 3G is OFF, Cellular Data and Data Roaming is ON and wi-fi is OFF. When I boot the iPhone 4, I do not get a “Welcome Screen” and it just says NO SIM (very quickly). Tried with 3 different SIMS (Belgium, Switzerland and Spain). I’m on 4.3.3, just restored and not jailbroken. The sim sits in there just fine. This means either the SIM Interposer is faulty or your SIM card is not sitting tight on SIM interposer and SIM interposer is not sitting tight on SIM tray. Definitely a connection issue. Also when you go to Settings -> Phone -> SIM Applications, do you see language options? I do not get any SIM applications option… it’s not accesible. Is there any way to improve how it sit’s on the interposer? Does Applenberry give you difficulties with returns? I’m in Switzerland and I sent them and email about my problems that they never replied to. Thanks… I’ve sent it back and the new one is on it’s way to me. They seem to be pretty good about returns. as it happened to me! So if I want to upgrade to 4.3.3, do I have to put the original (at&t) sim while upgrading and repeat the gevey unlock procedure with my sim or can I just upgrade it with my sim and gevey inside? While upgrading your iPhone to iOS 4.3.3, take both unofficial SIM card and Gevey SIM out of your iPhone. Once upgraded, put your unofficial SIM card and Gevey SIM back and unlock your iPhone by using the above guide. i have 2 of them here both genuine gevey and only 1 unlocks my 4.3.3 but both unlock my partners 4.2.1 iphone! Where can I get the Gevey SIM for the iPhone 3GS? I only see it on Ebay for the Iphone 4? Gevey SIM is only available for iPhone 4 users. All basebands of iPhone 3GS are directly or indirectly unlockable using Ultrasn0w 1.2.3. I have BB 05.14.02. I heard that with Ultrasn0w, I would have to go to BB 6.15.0.0. I use GPS very frequently on my GPS, so facing the possibility of losing it without being able to downgrade is not an option. So, am I stuck on BB 05.14.02 with my iPhone 3GS that I wish to retain GPS service on? Go to Settings -> General -> Network and turn Cellular Data and Data Roaming to ON. Enter your Cellular Data APN and MMS APN under Cellular Data Network menu. Make sure your unofficial SIM card is sitting tight on your Gevey SIM interposer and your SIM interposer is sitting tight on your SIM tray. Looks like your SIM is not in proper contact with SIM interposer. I bought a gevey sim for my iphone 4 4.1 (2.10.04). It works fine. Can I update the modem firmware and baseband to the latest one? or it will lose the unlock? Because i have a fake Gevey Pro which have same symptoms to your Gevey SIM. Please use the reply button in comments otherwise em not able to read the history of our discussion. Got it. Your Gevey is not Genuine, i think. Btw you can change the Gevey welcome message language by navigating to Settings -> Phone -> SIM Applications -> English. It will instantly pop-up the Gevey welcome message. But again, i am telling you, your Gevey do not seems to be genuine or your SIM is not sitting tight on your SIM interposer. Shooot! Can you confirm if your SIM tray look like this http://i.imgur.com/190wR.jpg and interposer look like this http://i.imgur.com/hk8mk.jpg? Can I use a Gevey sim for an Iphone 4 that isn’t yet activated? Has just come ot of the box brand new and not synced to itunes? Nopsi. You need to hacktivate your iPhone first. Why? Because after dialing 112, you need to turn ON airplane mode and you can turn ON airplane mode only if you have access to your Springboard. everything is working properly when I want to install the new Gevey turbo SIM card. However, after step 13 it pops up a black screen in Chinese from the webside-www.gevey 3g.com. where i have to “accept” or “Cancel” After that it turns back to frontpage and the phone wasn’t able to connect either way…i’ve tried several times…Help me !!!! IC is small then it means it is initial version of Gevey! 1. Yes, it will work with only one iPhone at a time because Gevey SIM interposer needs to be in your iPhone all the time to keep it unlocked. 2. Wifi never matters. Better keep it ON. Yes, Gevey can unlock all carriers until they support 112 emergency number according to GSM standards. First simply put the unofficial SIM in your iPhone and activate it using SAM. Once activated, unlock your iPhone using SAM. To activate your iPhone using SAM, you do not need to be unlocked. All your require is a SIM card with IMSI and ICCID. 5. Choose Carrier menu and select your carrier. 6. Activate your iPhone by connecting to iTunes. DO NOT close SAM. If the above steps do not work, try to borrow some other carrier SIM from your friend and activate your iPhone. Choose your current operator. Yep, insert SIM card first without Gevey and then activate. Once activated, unlock your iPhone with Gevey. My is from applenberry. It’s legit and authentic! Wolverine, do you think we got defective Gevey Pro chips? I’ve been searching google and people don’t see to have complaints and problems. Been using gevey pro for 2 days. Ip4 4.3.3 bb 4.10.01 signal is good all the time. My main problem is getting constant dropped calls. I can’t talk for more than 10-15mins without a drop call. Ps it’s a real authentic gevey pro from apple berry. Help! Gevey have nothing to do with syncing your iPhone with iTunes. If you are still unsure, take out Gevey and then sync contacts. It will still crash. Its probably corrupt firmware on iPhone or may be iTunes issue. Restoring firmware again might help. 1. Your SIM is not sitting tight on SIM interposer or your SIM interposer is not sitting tight on SIM tray. If the connection loses, u have to re-do the whole unlock procedure again. The best way to check this is to place your iPhone on your table (after unlocked using Gevey) and see if it signals drop after sometime or not. 2. The unofficial GSM carrier you are using is smart enough to re-assign (In other words re-authenticate) the TMSI to all of its subscribers after some mins (Could be 2 mins in your case). Note that you have to re-do the unlock procedure everytime the device restart, lose reception for an extended period of time or move to another PLMN. i just connect it to itunes than i started with gevey what do you mean by backup ? For some reason, people who restored backup from iTunes after restoring firmware on their iPhone are unable to unlock it using Gevey. Have you restored any backup through iTunes before using Gevey? Lol, it says sos call but what you hear in your speaker? Someone responds to your call? It is an emergency number in my country but i am very confused what else may be happening ? If it is an emergency number then do this: Take that SIM out of your iPhone 4 and put it in some other cellphone which is not locked etc. Dial 112 and it should not drop automatically. It means either 112 is not supported by the SIM you have inserted OR it is not an emergency number according to GSM standards in your country. It has nothing to do with Gevey, i also see carrier section and other carriers in it before using Gevey. yes i see the welcome message then i say accept then one 1-signal-bar and the other stuff that you told people in the comments but still after searching it says no service . You never told me the response when you call 112, someone picks your call or the call drops itself? Wait wait. Do you see Gevey welcome message? After that do you see No Service and then 1-signal-bar? When you call 112, what response you get? This means iPhone failed to get TMSI from your network. You need to dial 112 for some more seconds and then put your iPhone in airplane mode. SAM is good for everyone who rely on a hacktivated iPhone. SAM enables Push Notifications and gives you better battery life. I have two iPhone 4s. One is running 03.10.01 bb and it is unlocked on iOS 4.2.1 using Gevey. Other is on 04.10.01 and it is fully jailbroken and unlocked on iOS 4.3.3 using Gevey. I have normal Gevey SIM now and i am waiting for Gevey Pro to ship. I used SAM http://bit.ly/kRl3Qw to activate my iPhone 4 on iOS 4.3.3 and my Push Notifications are fully working. I haven’t installed Ultrasn0w 1.2.3 with Gevey on iOS 4.3.3 but still i am getting full signal-bars. ok, the most important thing for me to check was that you are using the normal gevey sim and its working with you,,,but then why did u order gevey pro if all is working well? please confirm that i understood right,,my iphone remained in the drawer for a loong time,, i don’t want to mess up my unlock no that it is unlocked! another question,,,,if there is any chance at all that upgrading to 4.3.3 will cause any unlock problems,,,it is possible to use SAM to activate and fix push notifications without upgrading ios from 4.3.2 to 4.3.3? Uninstall iPusher. Go to Settings -> SAM -> Utilities -> Backup Activation -> Restore Activation -> Reboot -> Sync with iTunes -> Install iPusher -> Reboot -> Make sure connected to Wifi with an active internet connection and then check Push Notifications using iPusher app. been trying to activate facetime on my iphone 4.3.3 (baseband04.10.01) unlocked with Gevey sim. just installed mitime and it said something about installing SAM. can u provide me with a step by step procedure? do i have to purchase anything? what about mitime and pushfix? lets say i’ve installed SAM..how do i get my facetime to work? Go to Settings -> Phone and turn FaceTime ON. SAM is enough for both. My FaceTime and Push Notifications are working fine. Cheers! Wow! I got this. I unlocked my iPhone 4 using gevey turbo sim. It’s wonderful . From where you bought your Gevey SIM Pro? Does it work on a iPhone 4 version is 4.3 (BB 4.10.01). Version? i have a ques. im following the steps as you show above but i get stuck in step 8. the black screen does not come up! what can i do??? Do you see Searching… or No Service messages in your status-bar when you reboot your iPhone? I just bought Gevey sim. I turn off my iPhone, insert gevey sim + my sim and turn on my iPhone. Then is No Service -> I go to Settings -> Phone -> SIM Applications -> English, then I retur to home scree and then i see Gevey Welcome Screen -> Accept and then I have No Service… no change, still No Service. Also do not change anything until you see Gevey welcome message. So you never see 1-signal-bar in your status bar? Also tell me if you see SIM PIN or SIM Applications in Settings -> Phone? On the internet I noticed, that Gevey Welcome Menu looks different than me … It may be a bug? Go to Settings -> Phone -> SIM PIN and turn it OFF. Try again by rebooting your iPhone. Also show me what kind of different Gevey Welcome message you ate seeing? Take screenshot by pressing the Home+Power button at the same time. Just fixed my SIM into the Gevey tray, no movement, snug fit. Same deal, No SIM card installed message comes up after a few seconds of turning the iphone on. Your SIM interposer is not working at all. Are you sure you bought the original Gevey SIM? Hi, I’m on Ip4 version 4.2.1 (8C148) on bb 03.10.01. I’ve purchesed a new Gevey unlock and a new Sim card from my carrier. When I put the Sim tray in at step 7 and turn the phone back on I DO NOT get the message asking me to accept. Do you see Searching… or 1-signal-bar in your status-bar? It means your SIM is sitting lose on SIM interposer and SIM interposer is not in proper contact with SIM tray. Ok will try get it fixed in there. Is it true I require a brand new Sim that has not been used in another mobile device? No, this is not true. You can use new or old SIM of any carrier with Gevey. Thanks a bunch! Will let you know it works. My iPhone 4 version is 4.1 (BB 2.10.04). Gevey was working fine for the past 3 weeks, and even managed to get hold of a service when I travelled to Italy form my home country last Monday (still within Europe). However, all of a sudden I lost service during a phone call and now I cannot get it to work again (i’m still in Italy!!) – it cannot seem to find a service. I’m managing to get through entire process but when it comes for the mobile to search for network it displays ‘searching’ for a few minutes and then just displays ‘no service’. Any tips on how to resolve problem would be appreciated, especially since I don’t have any other mobile with me and I’m in Italy till Sunday!!! Dial 112 and see what is response. If call is dropped after dialing 112 or no one responds to the call, it means you cannot use Gevey in that country. To use Gevey, your country should support 112 as standard emergency number. Your iDevice is not hacktivated. Either its activated using official carrier SIM or its not jailbroken. Thanks a lot! :) Please, what is the best simple way to jailbreak it, can you give me a clue or a website to learn this. Thanks again!!! Ok, I installed limera1n and after Cydia. I still get the message “waiting for activation”. Is there anything I need to do after installing Cydia? Sorry as I m a dummie. :)) Thanks. Nahh. You must restore stock iOS 4.1 and then use Limera1n. Lol. How did you managed to access Airplane mode from emergency call screen? Either your iPhone should be hacktivated or it should be activated using official carrier SIM. When I updated with Itunes I used my original AT&T chip. ( I am in Brazil now) When I called 112 I did not wait two seconds, I just pressed finihed and pressed Home button as fast as I could. At this time the call stays already at the top as if it was active,(a red line to go back to call) but it will expire soon as a I pressed finished before. So I went as fast as to settings and turned on the airplane mode. I confess I need to do this crazy and fast operation many times, but, well, it worked. :) I hope I can help this wonderfull forum with my experience. Thak you again, this place helped me a lot. :) I am very happy now. By the way, my 3g works only with roamming enable. Is it normal? It is perfectly normal :) To enable 3G using Gevey, you must enable roaming. you didn’t input you 4 digit passcode fast enough at the lockscreen. 2) OR turn off the passcode (Settings–>General–>Passcode Lock–>Turn pass code off… then restart you phone and it should work. Today i went back to apple to exchange my iphone cause it had some speaker problem the new phone is 04.10.01 version 4.3.3. so i turned off the phone, put in the gevey sim, turn it on it said different sim detected and there wasnt any welcome msg so im stuck there =[ can you help me please? You are jailbroken and hacktivated on iOS 4.3.3? or you activated it using official AT&T SIM? Just incase your iPhone is not jailbroken or hacktivated, first download Redsn0w 0.9.6RC16 from here http://bit.ly/iHqdFZ and follow guide here http://bit.ly/lAi8at to jailbreak your iPhone. Yup you need a hacktivated iPhone. Do let me know how it goes! And thats it nothing happen for several minutes. Step 6: No SIM Card message should NOT pop-up until you put your iPhone in Airplane mode for 30-45 seconds. Try again but this time call for 3-4 seconds instead. After dropping the call, turn ON Airplane mode as soon as possible. Ideally No SIM card installed message should be followed by SIM Failure message. There is one more issue, this is T-Mobile Sim which asks for PIN Code whenever it is used. It is getting locked quiet frequently and I had to get it unlock atleast 3 times before i can dial 112. However after that, it get lock again after Airplane Mode is On. So between Step 4 and Step7 it doesnt get lock. Do you see if this can be an issue? Ahhh! Definitely this could the issue as your SIM lock do not allow Gevey to spoof your IMSI when iPhone is in Airplane mode. To turn it OFF, go to Settings -> Phone -> SIM PIN -> OFF. Try again and do let me know how it goes! I changed the settings. Sim Lock problem is no longer there. However, issue still exist. “NO SIM CARD INSTALLED” message appear before i can Switch ON Airplane Mode. :( Clueless. I tried calling 112 for 3-4 secs, but no success. When you call 112 for 2 seconds, you should have 1-signal bar. When you drop call after 2 seconds, you should have 1-signal bar. When you put your iPhone into Airplane mode, you should have 1-signal bar. If you will delay you will get No Service message. If you see No SIM card installed installed message, make sure your SIM sits tight on your SIM interposer and your SIM interposer sits tight on your SIM tray. If there is a lose connection, you will get No SIM card installed message at-once. One ques: I am new on iPhone. What all can i do? And what all i should not do? On iPhone Unlocked thru Gevey sim..compared to one which is Factory unlocked. Tips for smooth run of iPhone. It is 4.2.1 and BB 3.10.01. When you are unlocked with Gevey SIM, your iPhone thinks that it has official carrier SIM in it and your network thinks that your iPhone is factory-unlocked. Keep my works in your bank :D Also you are on the best and my personal fav. firmware iOS 4.2.1. I have found all other iOS 4.3.x laggy on my iP4. I will try to remain on this version only. No experiment with what is best.! This worked. :-) Happy Happy. But i dont see some options like personal hotspot. Thats only for Verizon customers! This means all i need to do is let the iPhone be upgraded to the latest build by Apple and then just plug in the Gevey SIM and watch it work ? I am currently on 4.2.1 (Baseband 03.10.01) and using Greenp0ison / ultrasn0w. I wish to know if i can upgrade to ios 4.3.3 using iTunes 10.2 and then use the Gevey SIM to unlock the phone ? All the other times when i have tried to restore a custom/ original iOS , it has given me error 1604. I don’t think you can restore backup of iPhone 3GS on iPhone 4 and even if its is possible, it should have no effect on Gevey SIM’s working. If you see Searching… or 1-signal-bar then it means Gevey is working but the issue is on iOS side. Just reboot your iPhone and try again. Gevey message do pops-up everytime. Even i have to reboot my iPhone for 2-3 times to see Gevey welcome message. It looks original.. like I said, I bought from Appleberry.. But I never saw the screen that I see on your blog post. I tried everything.. have no ideas..
Make sure Cellular Data and Data Roaming option is ON in Settings app. If still not works then this could be the faulty piece they have sent you. You must demand a refund or ask them to send you a new piece. Update: Did you restored any backup from iTunes after upgrading your firmware? Go to Settings -> General -> Network -> Cellular Data (ON) -> Cellular Data Network -> Enter your Data and MMS APN username and pasword. where do i get the info to enter there is what i meant? Call your carrier helpline. They know all details or alternatively you can visit the official website of your carrier to get MMS settings. It means your Gevey SIM interposer is working fine. Looks to me more like an iOS bug. Whats your current baseband? If you already have latest baseband (04.10.01) then restore stock iOS 4.3.3 IPSW and then try again! I have 02.10.04 with 4.2.1. Which tool should I use? Should I use a customer firmware or official? I have all the blobs saved.. I need to hacktivate it for now because I don’t have any SIM card (from the original provider) with me. As you do not have official carrier SIM, so you must restore a custom IPSW to hacktivate your iPhone. Gevey works on both stock and custom firmware. Also if you will try to restore stock iOS 4.2.1 IPSW and jailbreak it with GreenPois0n then it will be of no use because GreenPois0n do not hacktivates your iPhone. I just downgraded to 4.1 and I still see the Searching… I cannot put 4.3.1 or 4.3.2 because I get problems with iTunes. I get error 1. But are you sure the problem is on the IOS? Not on the Gevey? 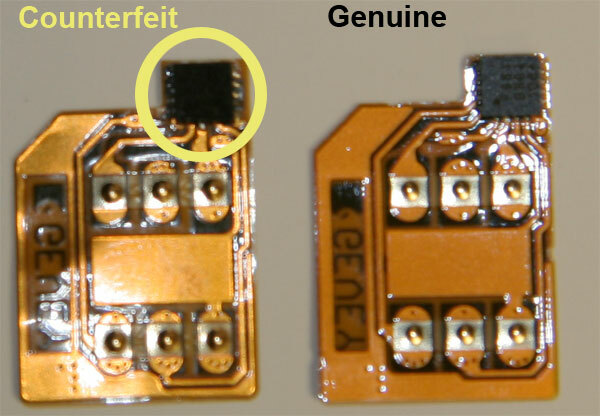 If you are still seeing Searching… then there could be some issue with Gevey SIM interposer. Can you confirm if your SIM tray look like this http://i.imgur.com/190wR.jpg and interposer look like this http://i.imgur.com/hk8mk.jpg? I don’t see the Gevey screen.. But I bought it in Appleberry.. What does that mean? That I am screwed? Nops. When you reboot your iPhone, make sure you wait for the Gevey message on the homescreen of iPhone. Do not let your iPhone go in sleep mode. If you bought Gevey SIM from ApplenBerry then it should work fine. Also make sure your SIM sits tight on your SIM interposer and your SIM interposer sits tight on your SIM tray! But I rebooted many times, I tried with different SIM’s and I think I am placing the SIM correctly (it would be very bad luck that I always miss that). As for the message, I never saw that coming. What do you mean into sleeping mode? The black screen? Yup, iPhone should not go to sleep mode (Black screen). Also do you see 1-signal bar or Searching… in status-bar when you reboot your iPhone? Lol, it took me 4 to 5 tries before i actually got my iPhone unlocked using Gevey. If your Gevey do not catches signal of your carrier after u put it in Airplane Mode then it means you failed you get TMSI by dialing 112. Instead of dialing 112 for 2 seconds, dial it for 5 seconds. Also if you do not see the Gevey welcome screen after you reboot your iPhone, there is no need to proceed. Reboot your iPhone again! > While the Airplane mode is ON ( you see the little airplane symbol in the left hand corner, pull out the sim card for two seconds, put it in again (all while the Airplane mode is on) and then turn the Airplane mode OFF again. > Wait until the signal bar appears, takes 10 secs for me. GOOD LUCK to all of you and hope this works for you too! The phone is Jailbroken with Ultrasn0w. I tried to unlock it with Gevey Sim and followed the instruction carefully and it worked, the signal did came up but only for 15 seconds and then No service or Invalid Sim. I tried it for many times already but theres still no hope.PLEASE HELP! At first it didn’t work. Problem was the instructions in the enclosed booklet and from the firmware was contradictory and as it turned out both wrong. Worked first time and 100% on subsequent tries. Hi, I just bought the gevey sim, and everything worked, but for some reason, my data/Internet stopped working. Does using this method affect my data?? Go to Settings -> General -> Network -> Turn Cellular Data and Data Roaming ON. I am currently using iPhone 3G with T-Mobile. I bought an iPhone 4 4.2.1 3.10.01 from the apple store without a contract so it needs to be unlocked before I can use it with T-Mobile. I bought the Gevey sim unlock thing from amazon.com and I want to unlock my iPhone 4.. My question is, my tmobile sim card is not cut into micro sim yet but there is a at&t micro sim already in the iphone 4 that came with it but of course no contract. Will I be able to unlock it with that ? I dont want to cut my sim into micro until i know for sure i can use my iphone 4 with my tmobile sim. After you unlock it with this, can you put different sim cards in and use it? I will be going to Turkey for a little while so i will also get a turkish sim there.. Will i be able to use that? Yes, try with your AT&T SIM but keep in mind that dialing 112 is strictly prohibited in united states. I assume that your AT&T SIM has no contract but it is active SIM. By active SIM, i mean you can make calls and do SMS or atleast it catches signals. Once you get signals using AT&T+Gevey, this means it should work with your T-Mobile SIM as well. Fantastic tutorial – I just wanted to say thanks for putting this up – very helpful. One quick question: I previously jailbroke the device on green poison when I was trying unsuccessful software unlocks for baseband 3.10.01. My current firmware is 4.2.1, and I’d like to upgrade to 4.3.2. Is it safe to do so – will my phone still work with Gevey? Yup! Gevey works fine on stock or custom iOS 4.3.x firmware. I have tested it myself. It even works on iOS 4.3.3 :D But tell you the truth, i am still fan of iOS 4.2.1. iOS 4.3.x has definitely got some lag issues on iPhone 4 and iPhone 3GS. I’m going to use PwnageTool to jailbreak and upgrade my iOS from 4.1 to 4.3.3, Should I leave the gevey sim card inside the phone with the unofficial sim card? or do I have to take it out and do the upgrading and jailbreaking procedure? I need help! Everytime i insert my gevey sim tray it always says no sim! what can i do?! This is normal. When you use Gevey, sometimes your status-bar will show NO SIM message (but not for more than 5 seconds) When you turn ON your iPhone, do you see searching or 1-signal-bar in your status-bar? yea it looks like that. Everytime you try to unlock your iPhone using Gevey, you get stuck at Invalid SIM step? In the last step my phone says invalid sim and it remains like that :S no signal or connection after what can i go ? You need to wait for few minutes before iPhone will start catching the signals of your unofficial carrier. This is strange. From where you bought Gevey SIM? In your case, it looks like as if Gevey is unable to spoof the IMSI of your SIM. If you have micro SIM of any other operator around you, give it a try. See the answer to Németh Bálint above for series of status messages. You only have to dial 112 for 2 seconds. Drop it at once after 2 seconds and put it in Airplane Mode. I have bought a gevey sim 7 days ago everiting workd but nov is no serive and when i turn off my iphone then back i dont see the welcome gevey sim message and dont work my iphone what can i do? You need to wait little bit before Gevey SIM message will pop-out on your screen! If it worked for once EVER, it should work always. just simple as this follow these steps! !and u gotta have all the services on like 3g, cellular data and data roaming! on! and then dude in order to fix this just go to settings, phone scroll down to sim application select English and it will pop up! these scumbags dont tell you this they want you to buy a new one thats the way it was programmed! Thanks Edgar…. this was great advice. My problem started when i rebooted my phone after installing the lockinfo app. when the phone turned on i could not get the gevey welcome menu as well as the one bar signal required to unlock the phone. But when i followed your advice i was able to see the welcome menu and get signal to call 112, allowing me to unlock the phone. Many Thanks Bro. Best simple steps i’ve read on the net so far about gevey sim! :D one try and it worked! thanks edgar. i had problems popping out the gevey menu, now it’s solved. How do you unlock with sam using gevey?? Ive gotten mine to work a couple of times but last time i got it to work i had to put my previous iphones crap on to this new phone from i tunes. So the phone rebooted and i lost signal. Ive been trying to unlock it but everytime i get to the sim failure part after the first airplane mode on and off switch, where im waiting for the no sim card installed message it doesnt do that. Instad on the top left corner one bar appears and it starts searching while the message reads sim failure. It means your iPhone failed to get TMSI by calling 112. Restart your iPhone and call 112 again (This time for 4-5 seconds) and then drop it. Follow the rest of the procedure described in the above guide. I do everything you said here, but I don’t see the “Accept” screen when I turn on the phone. I am using 4.2.1 version with 02.04.10. Can it be that the card was not well cut? When I go to settings it detects my phone number so I am not sure what could be the problem. Any ideas? Ops! From where you bought Gevey SIM? http://i.imgur.com/190wR.jpg Also do you see 1-signal bar or searching in your status-bar when you install turn ON your iPhone? Looks like the original.. I bought from the website linked on your blog! When I turn on, I see 1 signal bar and then searching.. What does that mean? Ok it’ll go like this when you will turn ON your iPhone: 1-signal bar -> Searching -> No Service -> Again 1-signal bar -> Dial 112 for 2 seconds -> Drop 112 call after 2 seconds -> Turn ON Airplane mode immediately -> For for 45 seconds -> Turn Airplane mode OFF. 1 – Always stays with 1 bar signal and does not change. But it does not me call 112. 2 – Stays searching for like 10 minutes and then goes to No Service. However it does not come back to 1 bar signal. When you restart your iPhone, do you see Gevey welcome message like this http://i.imgur.com/LyqEg.jpg? What am Im doing wrong? If for some reason, Gevey welcome message is not appearing, go to Settings -> Phone -> SIM Applications and choose English language. Yes its Ok. You should see the Gevey welcome message after selecting English language. Make sure you are connected to a WiFi with an active internet connection! Have you activated your iPhone using SAM? I have activated my iPhone through SAM. For me FaceTime is working perfectly. I am on iOS 4.3.2 with 03.10.01 bb and i have unlocked my iPhone using Gevey! hi, i still wont be able to get facetime to work. waiting for activation still stay dead on the phone. please i look it up with the website u sent me from ilounge,but there is not luck. what can i do to get facetime to work?? Have you tried to restore your iPhone? Go Settings -> Phone and turn FaceTime option ON.